A business-like approach beats warm and fuzzy. 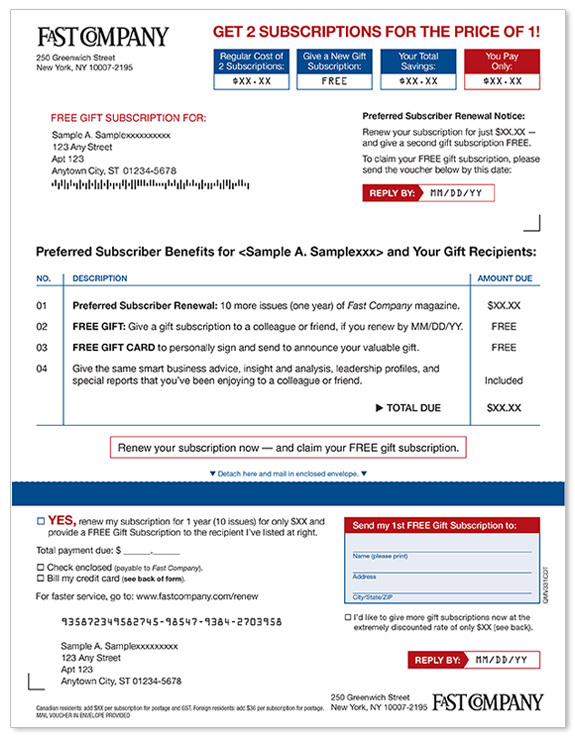 This breakthrough campaign for Fast Company subscription gifts features a business-like form design and copy approach. 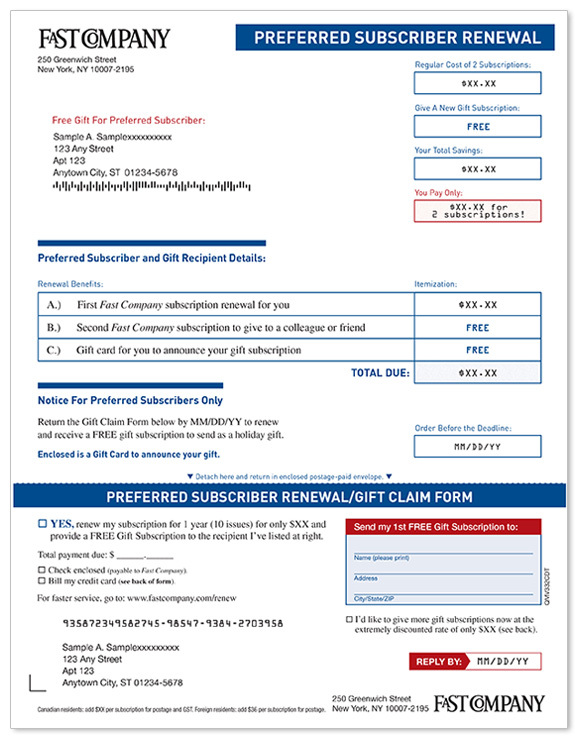 By presenting the offer and benefits concisely, the subscriber is focused on the transaction of renewing their own subscription with the incentive of getting a FREE gift subscription as well.